Yummers! I have recently discovered the use of rucola (arugula). I have been using this Italian herb so much, its like my new basil. Rucola is a zesty, spicy herb. It gives a refreshing kick to any dish. 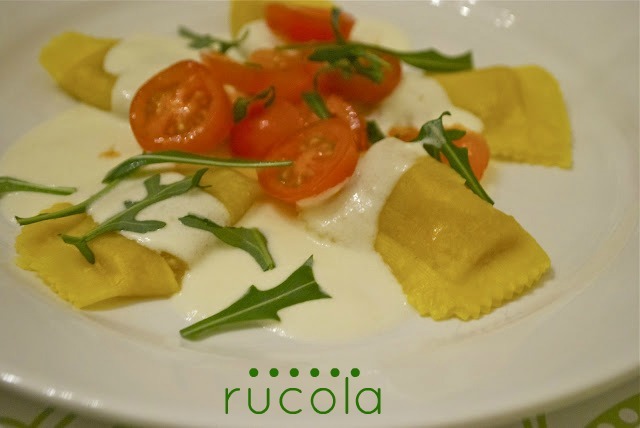 Seen above, I garnished my zucca ravioli (butternut squash ravioli) with a light white cream sauce, cherry tomatoes and rucola. The rucola gives this dish a whole new taste, so refreshing! Bring to a boil. Stir constantly until thick. Pour over pasta of choice and garnish with halved cherry tomatoes and rucola. 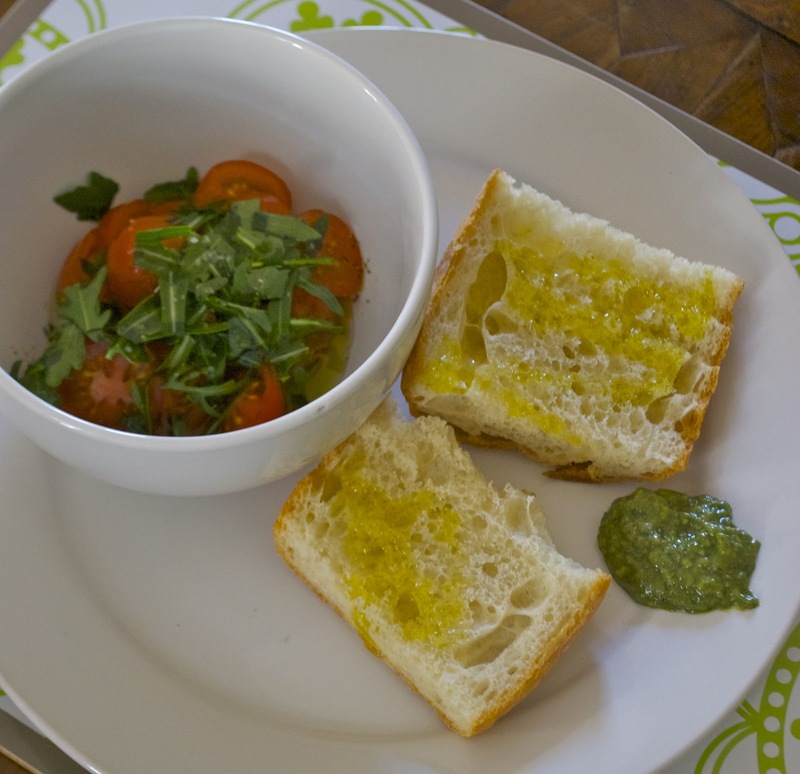 On this dish I did laura's bruschetta but garnished with rucola instead of basil. Try out this Italian herb, you can find rucola/arugula at most grocery stores.